Podcasts are my jam, and I listen to them whenever I get the chance. Doesn’t matter if I am doing dishes, running errands, or just hanging out on the couch. 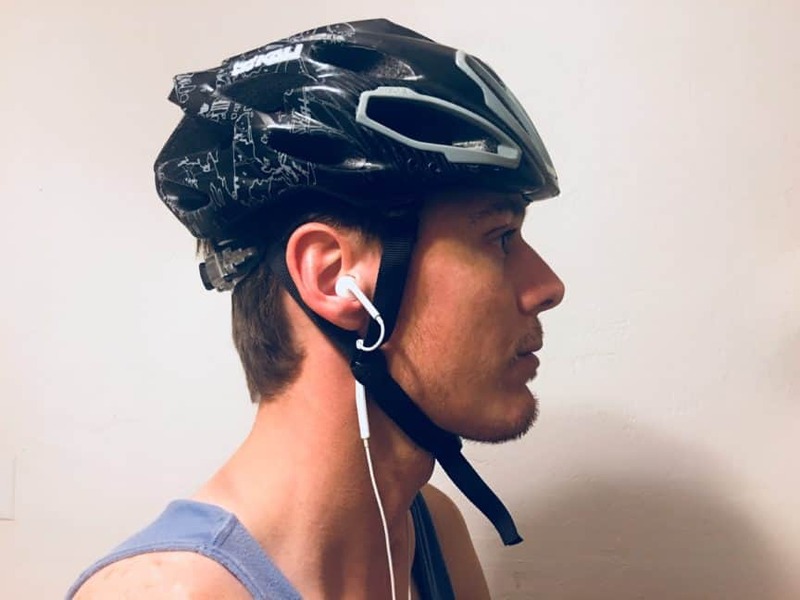 I listen to podcasts all the time, and that includes during my bike commute. 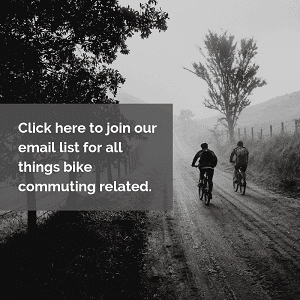 Are you a bike commuter who also enjoys a good podcast on your way to and from work? Here are my personal recommendations of excellent podcasts to listen to on the daily commute. Three friends (Lemonsmith, Gimmick, Virindi Puppet) talk about all things video games. These three are huge PC gamers, but comment on all types of games. Topics range all over the gaming-sphere, but also into music, YouTube, nerd culture, and more. The podcast is great, because they have good chemistry with one another. 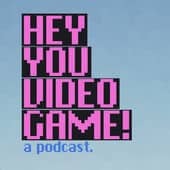 If you’re a gamer you will enjoy their ramblings and commentary on the latest and greatest. It seems like 2018 for them has been primarily focused on the new Battle Royale genre as they’ve fallen in love with it. Give them a listen! Can you even say that you’re a fan of podcasts if you haven’t listened to the first season of Serial? Serial is a MUST LISTEN podcast. It’s broken into three seasons each one focusing on a different topic. Season 1 hones in on the case of Adnan Syed a young man charged with murder. Journalist Sarah Koenig digs into the case giving a glimpse into the court system, facts of this case, and an interview with Adnan. It’s a twisty turn of a series that you leaves you questioning whether Adnan is innocent or guilty. I would argue that this is the king of podcasts, and that you won’t want your ride to work to end. You’ll want to keep on listening. Do yourself a favor and download Serial. Seasons 2 & 3 are very different, but worth listening to. This is a real life horror that is more frightening than any fictional scary movie. Imagine you go in for a surgery to correct an old football injury only to leave the hospital in worse shape than you came in. This is the real story of Christopher Duntsch a neurosurgeon nicknamed Dr. Death. Duntsch put on the facade of being a charming, intelligent surgeon, but deep down something was incredibly wrong. 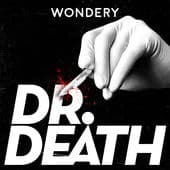 Follow this podcast to hear the tale of Duntsch and how the medical and court system failed to protect the general public. Renowned philosopher, atheist, thinker Sam Harris interviews a variety of guests on their show. 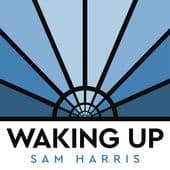 Personally I fell in love with this podcast, because it was interesting to hear Harris reflect often on artificial intelligence. Harris dialogues often on politics, religion, education, free will and while I often find myself at odds with his opinions he provokes the listener to think deeply. I appreciate his candor on the show, and that he promotes dialogue rather than hostile arguments. He works hard to be honest with himself, the listener, and engages in civil discussion even with those who oppose his ideas. This is the perfect podcast if you want to engage in deep thinking while riding your bike to work. The premise of The Habitat is simple. NASA is running an experiment with a group of Astronauts that want to go to Mars. They’ve set them up in a small “habitat” where they must live in close proximity together for 9 months. Episodes are a look into the relationships, social dynamics, drama, life of these astronauts. 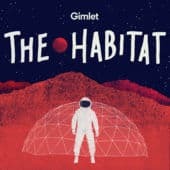 If you’ve ever thought about being an astronaut than this is a must listen. This one is binge-worthy and you’ll wonder if you have what it takes to go to Mars. Imagine riding your bike to work while comedian Marc Maron interviews a wide variety of artists, musicians, and comedians. The man has interviewed hundreds of guests including Barack Obama, Dave Chappelle, Paul McCartney, and more. Marc is an interesting guy who works through his own personal issues on the show. His own vulnerability gives guests permission to open up and be transparent as well. My favorite is when he has other comedians on as they talk about the life of being a comic which is so foreign from other career paths. He has an insanely large catalogue of episodes so make sure to check out past episodes for interviews that strike your fancy. Word of warning – Marc can be very explicit. What if you could make lots of cash very fast? Would you be interested in knowing how? My ears perked up! Quick easy money could allow me to buy a new bike! 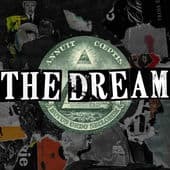 The Dream is a new journalistic podcast that plumbs the depths of pyramid schemes, multi-level marketing, and other businesses that require participants to recruit their friends and family in hopes of a commission. It’s a look into the history of get-rich schemes to the present. 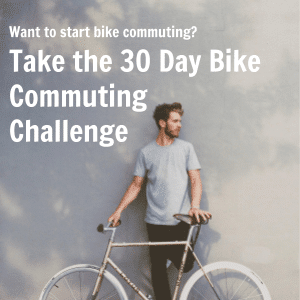 Fascinating topic that will make your bike commute fly by. What do you think about Lance Armstrong? He’s a controversial subject in the world of bicycle racing. Have you ever wondered what he’s been up to since being removed from the professional racing circuit? Well you don’t have to wonder any longer! 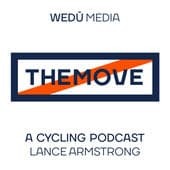 Armstrong has created THEMOVE to give his perspective on the world’s most iconic bike races. If you’re into the sport of cycling you’ll find his detailed analysis of races such as the Tour De France to be compelling. Even if you’re upset about Armstrong’s history in the cycling world I believe you’ll soften up towards him after listening to his podcast. 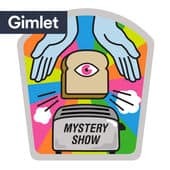 A company called Gimlet produced this treasure of a podcast, and than canceled it. It’s six wonderfully crafted episodes of a woman named Starlee Kine investigating mysteries. These are not your average mysteries. For instance on one episode Kine investigates a belt buckle found by a young boy. The boy found a unique belt buckle on the street, and for years wondered who the original owner was. Kine goes to great lengths to unravel the mystery of the belt buckle. 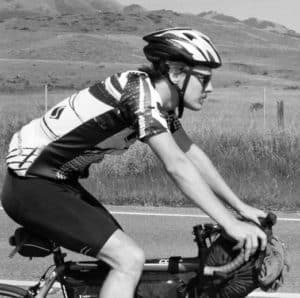 This podcast is truly a joy to listen to, and you must add it to your bike commute. Heaven’s Gate is a dive into the bizarre world of a cult. 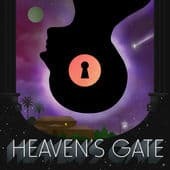 A large chunk of this podcast looks at the history and inner-workings of this particular cult called Heaven’s Gate. You’ll hear about the founders, the evolution of their beliefs, and even what the basic life of a cult member looked like. Equally interesting are the stories of those who were part of this cult. I’ve often wondered about the type of person who joins a cult. Surprisingly, you’ll be introduced to regular people who got caught up into the cult. These are my current favorite podcasts to listen to. More than once I’ve shown up to work wishing the commute was longer so I could have kept listening. It is weird how a well produced and interesting podcast can make the commute to work go much quicker. I hope you enjoy these podcast recommendations!